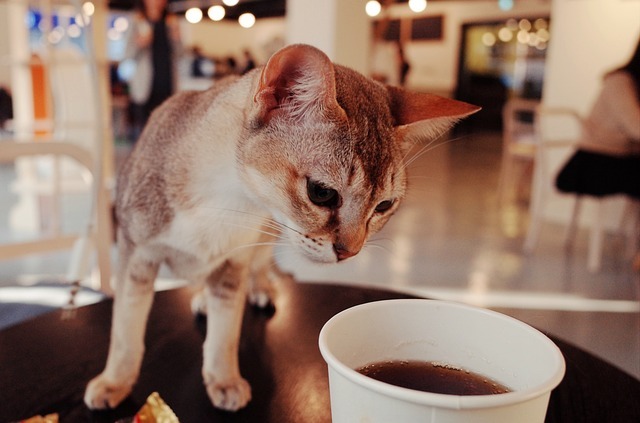 Ever since the first cat cafe opened it doors in Oakland, CA in 2014, I’ve had my fingers crossed that the trend would make its way down South. Well, that dream may soon become a reality. A Raleigh couple is currently working hard to open the Triangle’s first cat cafe, dubbed Purr Cup Cafe. They plan to partner with Meow House Cat Rescue in an effort to bring adoptable kitties to a place where patrons can hang out, drink coffee, pet kitties, and hopefully, give one (or more!) a forever home. It’s not here yet, Triangle peeps, but we will keep you posted. Please visit the link below and follow them and Meow House on Facebook! Purrk Yue Later would be a good name.